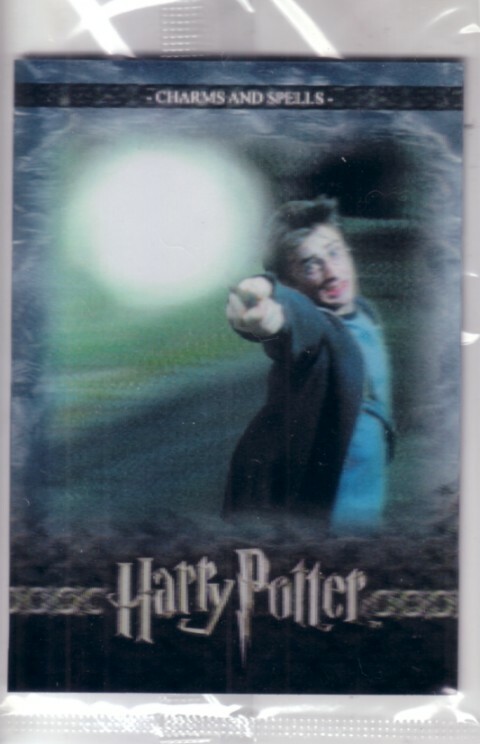 World of Harry Potter in 3D 2nd Edition ArtBox promo card P3 (Charms and Spells) distributed exclusively in the album or binder. MINT AND SEALED IN ORIGINAL PLASTIC. ONLY 3 LEFT.